Last February 9, the book, Philippine Football: Its Past, Its Future was launched at the Amici restaurant in Megamall. 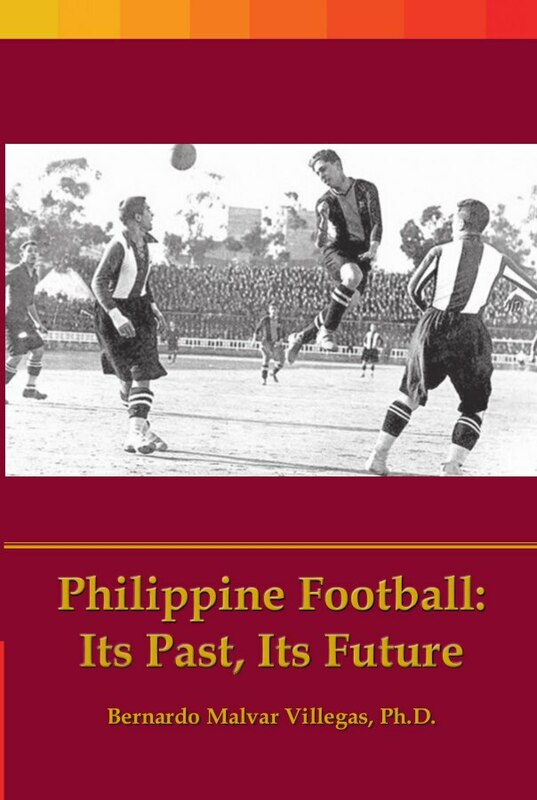 Authored by economist Bernardo M. Villegas, Ph.D. with key contributions various sportswriters, traces back the origins of football in the Philippines and its growth, decline, and eventual renaissance following the success of the national team in 2010. The book, two years in the making, and funded by the University of Asia and the Pacific with support from the Philippine Football Federation, is as close as a comprehensive telling of the nation’s footballing history. Sadly, for football, it slid from going high up to second in terms of popular sports to third as volleyball has displaced it. Watching the game from within and from afar, I believe it has slid in terms of popularity and awareness after arguably three-something years of growth from late 2010-14. 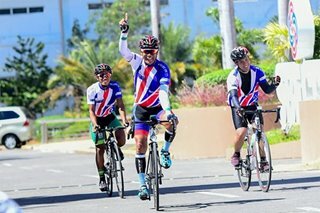 It doesn’t help that the Younghusband brothers, who became poster boys for the sport, aren’t top of mind anymore. There hasn’t been a replacement on the horizon. Only the ardent supporters of the sport know who’s who. I recall while working for Mindshare Philippines, pre-2010, the common question asked by media buyers and corporate sponsors for sports seeking patronage was, “Who’s there?” You always need to put a face to the sport. It makes identification easier. Football had the Younghusbands and Chieffy Caligdong to a lesser degree, but after that it’s a crapshoot. In a study commissioned by the PFF, basketball topped the unaided awareness chart with a whopping 92% followed by volleyball at 75% and badminton at 36%. Boxing is fourth at 29% with football at fifth with a 28% awareness. However, when aided by promotional tools such as television, marketing, and advertising, football’s awareness jumps to 69%. I find it hilarious when people say that we should concentrate on football instead of basketball as it fits the Filipino’s physique. That is not true at all. First and foremost, the beautiful game is the world’s most popular sport however, it isn’t the most popular sport in every country. The United States, Canada, China, Japan, Lebanon, India, and many others will point to basketball, hockey, baseball, cricket and others as their national sport. 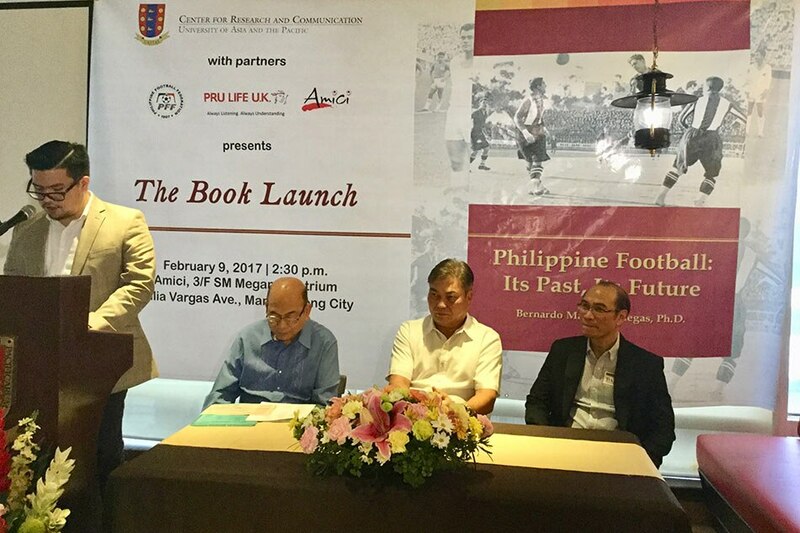 The launch of the book Philippine Football Its Past, Its Future was attended by its author, Dr. Bernardo Villegas Ph.D., PFF President Mariano V. Araneta, and football supporter Danny Moran. The new Philippines Football League was also unveiled. Second, if it did fit the Filipino’s physique, then why haven’t won anything all these years? I am not knocking football. I am all for football growing and getting bigger in this country but we do not need to knock down another sport. Yes, we are challenging now in Asia and that is good. I love it that our neighbors, who once who looked at facing the Philippines as an automatic win, are now preparing doubly hard for a fight. It sure is cool to see the team rise in the world rankings. Let the game grow organically and not in a faddish manner as some perceive the 2010 explosion to be. Before 2010, analysts said that what football needed was a professional league so the young can make a living out of the game. And I agree. We’ve seen that in volleyball as well. While the game isn’t on solid footing professionally, it is on its way. Before, outside basketball, the only way one could prolong his or her career was by playing in the military teams that were feeders for the national program. Like football, that is no longer the case. The club system is growing. As Filipinos learn and appreciate that sports can now be a means of living, so will attitudes change. But at most, it will take over a generation to change those beliefs. Again, I believe as the country opens itself to more ideas, so will change happen. Having said all of that, the PFF is organizing the first true national league called, Philippines Football League, and it’s slated for kick-off by mid-2017. As much as I love the United Football League (UFL) that carried the torch for club football for more than a decade, it was too Manila-centric. It is hoped that the regional allegiances and rivalries will give the PFL and the game a massive boost. There are an initial six teams with possibly two more joining the inaugural season. I am excited for this. Hopefully, lightning will strike twice but this time, the PFL will avoid the fate of the Metropolitan Basketball Association. For a while, the MBA put the fear of God in the PBA. It was played to roaring and packed crowds across the country. I myself switched and preferred to watch the more exciting MBA than what seemed like a staid PBA at that time. The league was blazing great guns until it was struck down by many factors. One of the many things that contributed to the league’s demise was the cost of airfare that saw teams flying all across the country. Along with the lack of a salary cap, that really killed many a budget. In this age of budget fares, it is thought that it won’t hurt too much but that remains to be seen. Nevertheless, it’s time to give this sport, this professional league a go. It is key that they have identified 14 cities that could host a PFL club team. While not all of them will have a team come kick-off this year, at least preparations can be done for their eventual hosting. It’s all good and it is definitely exciting. And that book of Dr. Villegas? The book teases about the future and the game’s growth. Hey, that needs telling too.